St. Nicholas Orthodox church – Namungoona. St. Sophia Orthodox Church – Kibuye. All Apostles Orthodox Church – Kyanuuna. Pammakaristos Orthodox Church – Mpunga Wakiso. St. Spyridon Orthodox Church – Luguzi. St. Stirianos Orthodox Church – Ngondwe Namayumba. St. George Orthodox Church – Bbira. St. Timotheos Orthodox Church – Buwambo. Dormition Of Theotokos Orthodox Church – Namavundu. St. Anargyroi Orthodox Church – Kiti. Holy Transfiguration Orthodox Church – Degeya. St. Constantine and Helen Orthodox Church – Degeya. St. Luke Orthodox Church – Kabonge. St. Silas Orthodox Church – Kalagala. St. Cyprian Orthodox Church – Bulami. Presentation of Theotokos and Holy Apostles Orthodox Church – Magoma. St. Andonios Orthodox Church – Monde. St. Dimitrios Orthodox Church – Bwetyaba. Holy Trinity Orthodox Church – Sambwe. St. Constantine And Hellen Orthodox Church – Kasana. St. Paul Orthodox Church – Bumbu. St. John Chrysostomos Orthodox Church – Ggavu. St. Mary of Egypt Orthodox Church – Mayindo. St. Catherine Orthodox Church – Vvumba. Panaghia Orthodox Church – Lunyolya. St. Dorothea /Pelagia Orthodox Church – Luwunga Kireka. St. Minas Orthodox Church – Mayirikiti. MUKONO – BUIKWE DEANERY PARISHES. St. Procopios Orthodox Church – Luwayo. Nativity of St. Mary’s Orthodox Church – Bugolo. Dormition of Theotokos Orthodox Church – Katente. St. Basil Orthodox church – Kikwanya. St Constantine & Helen Orthodox Church – Ssukka Kisoga. St. Raphael, Nicholas & Irene Orthodox Church – Makota. Prophet Obadhia Orthodox Church – Butembe. Prophet Elias Orthodox Church – Nkonge. St. Catherine Orthodox Church – Seeta. Kabanga Orthodox Community – Ntenjeru. Holy Resurrection Orthodox Church – Jinja. St. Paul Orthodox Church – Nakabaale. St. Jacob Orthodox Church – Nawango. Evangelism Of Theotokos Orthodox Church – Nakyaka. Saint Barbra and Damaskinos Orthodox Church – Namadhi. Holy Resurection Buhemba Orthodox Church – Bugiri. Holy Confessors (Homologites) Orthodox Church – Budhana. NAMUTUMBA – MBALE – SOROTI DEANERY PARISHES. St. Spyridon Orthodox Church – Nsinze. St. Arsenios Orthodox Church – Mbale. Panaghia Paramythia Orthodox Church – Kuumi. Magada – Bugiri, Namutumba Orthodox Community. St. Cyrillos and Methodios Orthodox Community. Busano Orthodox Community – Mbale. St. Gregory Orthodox Church – Kireku. St. Thomas Orthodox Church- Bulera. Evangelismos & Lazarus Orthodox Church – Νkwale. St. Oikoumenios Orthodox Church – Bukuya. St. Luke Orthodox Church – Lwemiyaga. FORT – PORTAL – REGION DEANERY PARISHES. Holy Ascension Orthodox Church – Ngombe. St. Anastasia Orthodox Church – Kidubuli. St. Athanasios Orthodox Church – Amuca. Holy Resurrection Orthodox Church – Ojwina. St. Gregory Orthodox Church – Alipa. St. John Orthodox Church – Bar-Nyalo Otwal. St. Salome Orthodox Community – Otumpili. St. Lavrentios Orthodox Church – Koro Laibi. Archangel Michael Orthodox Church – Lapainate. St. Basilios Orthodox Church – Techo Laibi. Archangel Gabriel Orthodox Church – Aloyo Ajong. 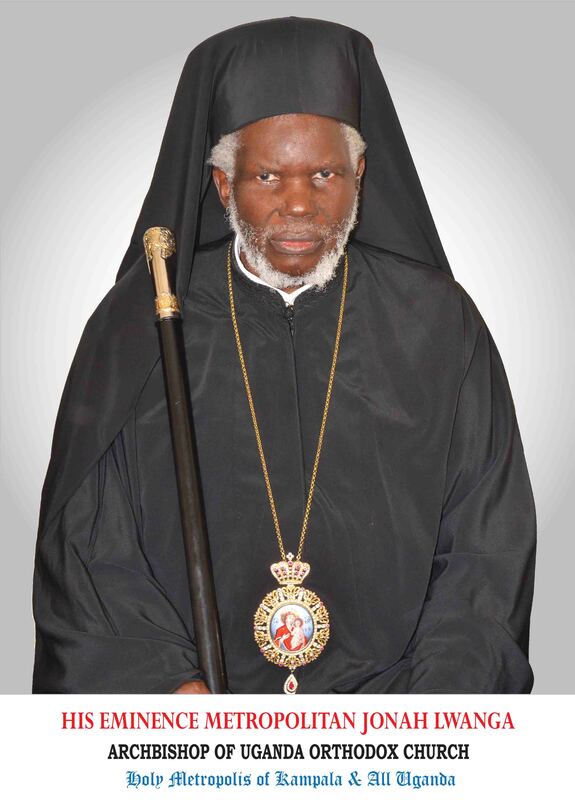 Akony Bedo Orthodox Sub Parish.